"Debbie was a pleasure to work with and dedicated to assuring that we achieved - and stayed focused on - our own goals throughout the process of selling our home, searching for a new one, and ultimately contracting to build a new home. She worked tirelessly from start to finish, starting with the market analysis, staging our home and eventually finding our buyers. She was equally dedicated to making sure we found the right place to live for the next stage of our life, helping us sort through the competing pros and cons. Debbie has a wonderful sense of people, which is pretty important during the emotionally stressful process of, particularly, selling. We would recommend Debbie anytime!" "Our recent purchase experience was greatly enhanced by the opportunity to work with Debbie. Her knowledge of the local market, perspective on location, residential features and neighborhoods were very helpful in prioritizing areas of interest. Her prior skills as a marketing executive were evident based on her ability to research information, her attention to detail and her follow-through regarding topics of discussion. She is an excellent listener and extremely conscientious, taking care to manage everyone's time effectively and she stays on top of a myriad of issues during the course of the search. She is committed, shares her reasoned judgment, is very hardworking and places the client's needs first; taking the necessary steps to ensure the search remains on point, as it is refined. Debbie is also very resourceful and has developed an impressive network of service providers who can be called upon to assist in evaluating a situation or addressing an issue to be resolved. If she doesn't know the answer, she is quick to research the topic and to present reasoned answers or suggestions. In addition to her professional qualities and knowledge of real estate, she has a wonderful way about her; she is very friendly, has a fun sense of humor, is innately likable and someone of unquestionable integrity. It was a true pleasure to work with Debbie and I would strongly recommend her as either a buyer's or seller's agent." "Debbie's level of expertise, professionalism, dedication and commitment were above and beyond any realtor I've ever dealt with. In addition to her strong knowledge base, Debbie is a connector with a passion for relationship: Our needs as a family came first for Debbie and she made sure that our home was perfectly prepared to sell (which it did immediately) and that we would find a dream home that we loved (we did). She negotiated astutely for us and navigated each relationship (lawyers, other realtors, other families) with sincerity, professionalism and care. We can't say enough about what a gifted realtor she is and will refer her to friends and family again and again!" "Debbie helped us with our search for our downsized dwelling. She employed tools that kept us aware of opportunities in the areas we were interested in. She also provided great advice for selling our existing home. The information and communications she provided was clear and extremely helpful. We would strongly recommend Debbie to anyone selling or searching for a home." "Debbie is an amazing realtor. Her dedication to our personal search for a home was exactly what everyone hopes for in a realtor. She has energy and an excellent way of asking for options and finding answers. Her networking is a valuable resource to any buyer or seller." ""Debbie was amazing! Our beautiful home had been on the market for a year prior with other agencies. We were given Debbie's name and was told that she had great marketing skills. Debbie marketed our home in a way that reached a large area and exposed the property to many more people with beautiful images. As a result, the home was sold within two months of listing. Thanks Debbie!!"" "Debbie is fantastic. She was thorough, professional, and kept the whole process organized and easy for us on both the buying of our new home and the selling of our previous home. I would recommend her in a heartbeat." "Debbie was an absolute pleasure to work with. She was very knowledgeable about the market and always backed up the information she provided with data and analytics. She provided creative marketing strategies and was very flexible and exceeded all of our expectations. Thanks Debbie!" "I honestly could not have asked for a better broker. This survey will not do justice to how amazing Debbie was. She was so helpful for the almost year that we looked for a house. She was patient and responsive. Debbie was always available via phone or email. She took us out on countless outings. Debbie was absolutely key in getting us the house of our dreams. We are so happy with the house and SO happy we had Debbie by our side, helping us each step of the way. She is really one of the sweetest people, and I truly consider her a friend now. I wish I could give her 10 stars! Go with Debbie, you won"
"Debbie Hepburn was very professional and yet personable and warm. She responded quickly each time either my husband or myself got in touch with a question or request. Debbie was very attentive to our specific requirements for our home purchase so that we did not waste time looking at properties that could not serve our needs. In all, we both would recommend Debbie Hepburn to any of our friends." ""Debbie is a phenomenal broker to work with. As first time home buyers, Debbie took the time to talk to us about each neighborhood we were looking in, provided us with extensive research on each home, and made us feel comfortable every step of the way. In addition to Debbie's expansive local knowledge, she has a great list of resources and contacts for anything you may need when purchasing a home. We could not be more pleased with our experience in working with Debbie. We would recommend her to anyone we know who is looking for a new home! I give her 5 stars!" "Can I rate her 6 stars? Debbie absolutely made every step in selling my condo easy, fun and successful. She exceeded all of my expectations in the preparation stage, recommending just the right things to get my condo ready to sell, preparing gorgeous marketing materials and listing it correctly priced on all of the websites. Once listed, she hosted open houses and followed up with those that showed interest. Her friendly, honest and approachable manner played a role in the success at the bidding stages, where I received multiple offers. Debbie's skill at this stage was masterful. Debbie's personal care made selling seamless, as she was so responsive, knowledgeable and professional all while being just so warm and honest. I can't recommend her highly enough and hope to work with her again!" ""My husband and I really enjoyed working with Debbie while looking to buy our first home. She was patient, thorough and extremely personable. When we first met, she did a great job of explaining the process and answering all of our questions. She showed us a range of places to help us better understand our options in our price range. Debbie really listened to what we were looking for and worked hard to help us find the perfect home for us. Her local and neighborhood knowledge cannot be beat, which she leveraged to help us negotiate a great price. We actually ended up purchasing a house close to her and are thrilled to have her as future neighbor! I would absolutely recommend Debbie!"" "Debbie goes above and beyond the requirements of her position. She is more like a friend." "I just wanted to send you a quick note letting you know how much we (my father's side of the family) appreciate what you did to introduce us to Karolyn Merrill and her team of specialists in move management, structural engineering and senior assistance. Karolyn obviously knows her stuff, and when I asked her to cover more about how your respective organizations work together, she gushed about how much you were looking out for our best interests........how you had interviewed her in exactly the same way she would handle the situation if the roles were reversed.Again, I just wanted to thank you again for finding such a high quality, professional resource in this highly specialized area.......and for putting in the yeoman's effort in vetting such a qualified professional to assure a perfect fit. You are an extremely talented real estate professional!" ""Debbie Hepburn was our complete partner during this process. She very carefully listened to our needs and wants and always had our best interest in mind. Never once did we feel pressured or that she would diminish what we felt was important; she honored and celebrated exactly what we were looking for! We had not bought a house in 32 years and the new home we were searching for was very specific in a small geographic area of East Glenview. The market in the Spring/Summer of 2016 was very hot, a sellers market. When Debbie learned of a house, with our specification, was coming on the market we were very often the first in the door to see it, which amazed me! This was completely due to Debbies relationship development skills, her dedication, and tenacity. I cannot say enough about her professionalism and ability to remain neutral as my husband and I were not always on the same page with wants and needs! When we would become discouraged with no houses on the market, Debbie would always take the long view and share optimistically that this is a process that takes time and the right house is out there we just needed to be patient which is not one of my most developed skills! She was willing to show us house, after house, for as long as it took, that is what I meant about not being pressured or that we were being too picky. She encouraged us to keep looking and find what was right for us. We eventually did find a wonderful home. I can say that without reservation that our home purchasing experience, with Debbie as our guide, was the very best it possibly could have been! When it came to selling our home, she was equally as professional! With my head and emotions reeling after buying a new house the thought of having to move after 32 years was a bit overwhelming. Debbie knew how to motivate me to get my house ready for the market. Strategically, she encouraged us to wait until after Labor Day to list the house, since the last weeks of August are particularly slow. In the meantime, she hired stagers and an incredible photographer to insure that our home looked just right! She developed a thoughtful and creative marketing plan, tapping into her former advertising industry experience and social media marketing expertise. The brochure was a work of art that made our very nice house look simply incredible. This was all very critical due diligence, because 110 houses came on the market in Glenview the same day we listed ours the market had turned, it was now a buyers market and the competition was significant there were three comparable houses listed on our block alone! Debbie was at every open house and appointment, rather than delegating to another agent, no matter how early or how late and always presented our many improvements. She listened for feedback and buying signals, debriefing us regularly so we could develop our sales strategy. There was a great deal of interest and to our delight, our home had a buyer after only 5 weeks on the market. However, what we learned is that the real sale of a house begins at the inspection! Debbie was also present at the inspections and any contractor follow up visits which proved to be invaluable! She was our eyes and ears since we could not be present to challenge incorrect information being given to the prospective buyers. Debbies well developed pool of connections offered us nearly immediate access to needed contractors that provided an alternative point of view that was critical to ultimately closing the deal. Debbie is honest and incredibly ethical, truly a rare combination in the real estate business! We trusted Debbie with our lives, our finances, and our future and she did not let us down. I can enthusiastically endorse Debbie Hepburn as an agent that knows Glenview! Her process works - she is well connected, experienced, marketing savvy, very detail orientated insuring that contracts are clear and concise and responsive! It was a pleasure to work with Debbie and if the time comes to buy or sell again, we would consider no one other than her! Thank you Debbie!"" ""Very professional and accomplished. Thorough knowledge of area and local market and was very helpful with the purchase of our home. Timely responses to all of our inquiries."" ""Debbie is great! I contacted her at the advice of a good friend. Within 36 hours of contacting her and within 24 hours of viewing the property, we had a signed contract! She's great and she is very easy to work with. She has extensive contacts, including for financing and contractors. I strongly recommend her!"" "I have enjoyed working with Debbie Hepburn on both sides of real estate transactions: as a buyer and as a seller. Debbie is responsive, kind, and effective. She has two other extremely important strengths: Debbie delights in the unique details of any property and helps you realize the character of the home you are purchasing and the home you are selling. Her other strength is her ability to bring out the best in a home so that it shows well and its character is expressed. Her advice in preparing my home for sale was extremely helpful, and when I purchased a home, she helped me appreciate the many wonderful qualities it has. I have worked with many realtors over the years, and they have helped me enormously. Debbie takes it up a notch and not only handles the transactions well, but she leaves you feeling delighted and appreciative of the property whether you are selling or buying." "Debbie was the best! We were first time home buyers and she made the process fun. She is very knowledgeable and helped us win a condo in a very competitive market with multiple bids. Thank you Debbie!" "I was very satisfied with Debbie's services. She was responsible with any questions in timely manner and went extra miles to help me making a right decision. She also helped me selections of paint color, furniture and recommending the house inspector." "Debbie is very good at what she does . I highly recommend using her if you want to purchase or sell a home. She is extremely knowledgeable , insightful, sensitive and motivated. You cannot go wrong with choosing her !" ""There aren't enough words to praise Debbie's passion, responsiveness & persistence. We never ever ever would have been able to sell our Glenview home without Debbie's interpersonal skills & follow-through. I would say that her ability to manage many personalities, seller/buyer needs & concerns - all the while juggling properties other than mine - is where she exceeds the most. She is a lovely woman who is also involved in many charitable organizations (which means a lot to me). Absolutely loved working with her & would do so in a heartbeat - hands down."" "I have known and liked Debbie for many years, but we have never worked together on a project. This project was to find the perfect house for us and there were some tough requirements that had to be met to make that happen.Debbie seemed effortlessly to meet every challenge and consistently exceeded our expectations as a realtor. She was unfailingly delightful to be with. She listened to our needs and found properties to meet those needs -- and did not waste out time with homes that were too expensive or too many stairs or were not in neighborhoods where we hoped to live. She matched our requests to the listings she shared with us.Debbie was knowledgeable about the listings. She knew the area and the subdivisions or locations and always had something to add to our understanding of the properties. She had read the listing sheet and drew our attention to issues and surprises about each place. And could comment about how each home met or failed to meet our needs.Her attention to detail in every aspect of the transaction was amazing. She knew and cared about it all - from the missing piece on the lamp to the legal complexities of the transaction. This gave us a huge sense of confidence that Debbie had our backs and was as meticulous on our behalf as she would be for herself.We never had to wait for a call back or text from Debbie no matter what we asked of her -- and we asked a lot! She was always there for us truly in every way we could have hoped. Debbie exceeded every expectation! We enjoyed spending time with her, even when the houses proved disappointing. She made even that fun!We would wholeheartedly recommend Debbie Hepburn to everyone we know as the realtor of choice for the Glenview area." "Debbie Hepburn has been the best agent we have worked with. We have sold and bought several houses and condos in the past. She is hard working, responsive, outgoing, very professional and has an excellent knowledge of the neighborhood and real estate in the area. We highly recommend Debbie should you be buying or selling a property." "Debbie helped us buy as first time buyers and she was the best! She is super knowledgeable, smart, and great at building relationships. We bought in the very competitive West Loop neighborhood in Chicago and Debbie's insights and advice helped us get the perfect place. She really cares about her clients and we appreciate the personal touch she brought to the process. We had a stressful situation in the negotiations stage it was 100% saved because of Debbie's savvy and expertise, and now we have our dream condo. Even though buying a place can be stressful she really made it fun. We are so excited to move into our new place and live in the West Loop, and we already talk about how in the future 5+ years away, Debbie can help us when we move from the city to the suburbs :)"
"Debbie Hepburn was very professional and yet personable and warm. She responded quickly each time either my husband or myself got in touch with a question or request.Debbie was very attentive to our specific requirements for our home purchase so that we did not waste time looking at properties that could not serve our needs.In all, we both would recommend Debbie Hepburn to any of our friends." "Debbie was a very conscientious and compassionate broker with a wonderful, positive attitude. We were very fortunate to have had her as our broker." "Deb and CC were awesome. Their personal touches and feedback were instrumental in selling our property, which we did successfully. Great agents...I'd strongly recommend them (and have been doing so)." "I must say this transaction would probably not have happened if it was not for Debbie Hepburn! This is our second time Debbie has represented both me and my wife and both times the other side of the deal were both very amateurish and unprepared. Tha was not the case with Ms. Hepburn, she was on time, organized and diplomatic-what a relief! I am glad that we could have her working for us she literally made this deal happen and I for one am grateful." "I like Debbie's energy and availability when it comes to looking for a new home. She is motivated, positive, realistic and knowledgeable. She would be an asset to anybody who is looking to sell or buy. I highly recommend her and will use her in the future." "Debbie was fantastic while working with us, both to sell our current home, and to find a gorgeous new house. She was incredibly dedicated to doing everything possible to help us, going above and beyond time and time again! She was very friendly and a pleasure to interact with, yet confident and tough with handling negotiations on both transactions. We would recommend her to anyone!" "Debbie was such a great help to us when we had to sell my mother-in-law's condo. She was patient, supportive and on top of the entire process, beginning to end. She gave us creative suggestions regarding preparing the unit for sale and her marketing ideas helped to set our unit apart from several other units for sale at the time. She is well connected throughout several communities and managed to find us a qualified buyer in what seemed record time. She worked through the technical details with the bank and we were able to close much more quickly than expected. I highly recommend her as a resourceful, high-energy agent who is also very easy to work with." "I have been very fortunate to have had the opportunity to interact with Debbie in my search for a condo. She is extremely professional, helpful and most importantly patient! She has been very diligent and has been able to always answer my questions. I have enjoyed working with her and have no hesitation in recommending her to my network. I hope you get a chance to work with her on your real estate transactions!" "In 2016 we started considering moving from the city to the suburbs because of our daughter's school (HPDS). Still in question whether to rent or buy, not really knowing the local suburbs that well, we called Debbie Hepburn, whose phone was passed on to us by her neighbor. The neighbor understood that we would benefit from getting help from somebody who is knowledgeable about the local real estate market, also, who will be open to our search of the best neighborhood and home option for us. My husband, whose family was large home builders in the city, and who had many dealings with real estate agents, wholeheartedly agrees that we received the best service. I am so grateful for that contact! Debbie has been invaluable local resource and a great real estate agent for us. Five stars - all the way!" "Thanks to Debbie, I am in my perfect home! She took the time to understand exactly what I was seeking and quickly identified a condo in the ideal location. I could not be more satisfied between her level of professionalism, quick responses to my many questions and the personal attention she provided. If ever I am ready to move on, Debbie would be my first call"
"We are so grateful for the help that Debbie provided us with. As a growing family, we did not have a lot of capacity for an extensive house hunt. The first time I spoke with Debbie, I quickly felt at ease with her. She listened carefully to what I wanted in our home and asked questions that helped me think through things that I had not thought of. Debbie understood our needs and desires and was very careful to select houses that fit those. I never felt like we were on a wild-goose chase or that she was trying to push anything. She had a genuine desire to help us and that came across very clear in our conversations and interactions. In a world where I feel that I need to be continually on guard and questioning motives, it was refreshing to work with Debbie who was open and honest." "Thank you Debbie! We had no doubts you'd get us to the destination Great result!" "I cannot thank you enough for all of your help and guidance in finding my family a home. We came into town over Thanksgiving weekend and you dropped everything to meet our needs and schedule. You really cam out of nowhere and have been the best thing ever for my life and my families life. Thanks again. You are awesome." "We had the privilege of working with Debbie while searching for a home in Glenview, and I cannot say enough about her market knowledge and professionalism. She listens to her clients and truly puts their interests first." "We loved working with you you made the whole transaction as easy and painless as possible. The best part of working with you is that I met a dear sweet lady. You are constantly a blessing to me and I look forward to seeing you around Glenview and to working with you again in the future." "Hi everyone. I just want you to know Debbie is great! 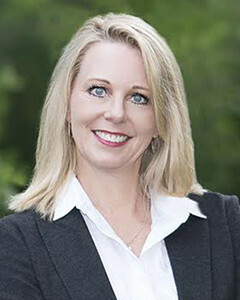 I grew up in the Home Building Business and I have allergies to 99% of the people in the Real Estate sales business, Debbie Hepburn is not one of these people. Debbie really watched out for my families best interests, she cared about us, she counseled me and my wife - life long "City People" on our move to the North Shore, she is a friend and a confidant. We were lucky to have her as our guide. You would be lucky to get her as your agent ,"she tells the truth". WFC"
"It has been an absolute pleasure working with you and I hope our paths continue to cross. Thanks again for all you help. We really appreciate all the work you've put in to this!" "I am very happy with the place and want to thank you again for all your hard work showing us around Hyde Park and Little Italy. If you ever need a recommendation or review I am happy to vouch that you are hardworking and a real pleasure to work with." "You were remarkably helpful and I appreciate it. Again, thanks for everything. You do amazing work."